QotW: What’s the hardest JNC to find? What’s the hardest JNC to find? Intended as Nissan’s competitor to the popular Toyota Celica, the S10 Silvia is sure difficult to come by. We’ve seen Datsun 200SXs here and there, but you would think that the kick-off to such a beloved nameplate would garner at least a few examples at shows, museums, or whatnot. Truth is, you’re far more likely to see the lower-production CSP311 Silvia or multiple 2000GTs at any given Japanese car show. S10s just can’t get no love. 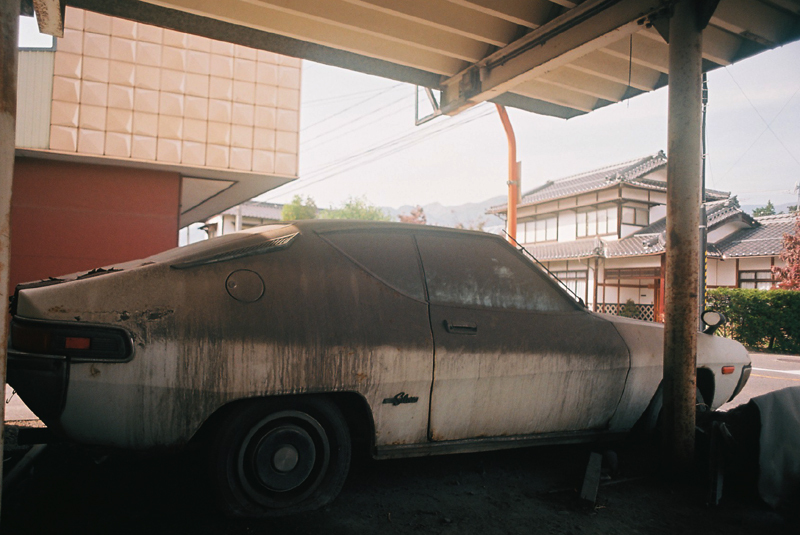 The most annoying stereotype about old Japanese cars is that they are simply disposable! Even more annoying is that this appears to be an opinion held by the manufacturers themselves. It seems to me that given the current marketing culture of feeding off the genius of the past, it would be a wise PR move to support those who still own the genuine articles. Really, how much of Honda’s/ Toyota’s/ Nissan’s giant marketing budget would it take to set up a small historic or nostalgic division to provide a limited line of common perishable replacement parts (window seals, badges, etc.) based on input from owners. Even some minor recognition of what people like us do to keep their history alive would go a long way in promoting our cause and their sales. I believe there is a sector of the potential market that these manufacturers don’t even consider; these are the folks (like us) who are more likely to purchase a new version of their product if they can still see old ones kicking around the highways. Omedetou! 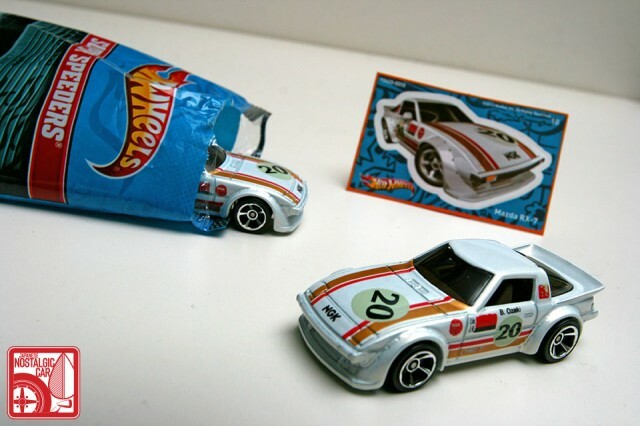 Your comment has earned you a rare Hot Wheels Super Speeders mystery pack Mazda RX-7! tagged: 200sx, datsun, nissan, QotW, Question of the Week, s10, silvia. 65 Responses to QotW: What’s the hardest JNC to find? Datsun Fairlady Z432 – good luck “EVER” seeing one of these. I see one every weekend! They’re also not entirely uncommon at shows like Nostalgic 2 Days. Haha, nice! Any S10 Silvias roll through CCN? There was a Z432 at JCCS 2011. 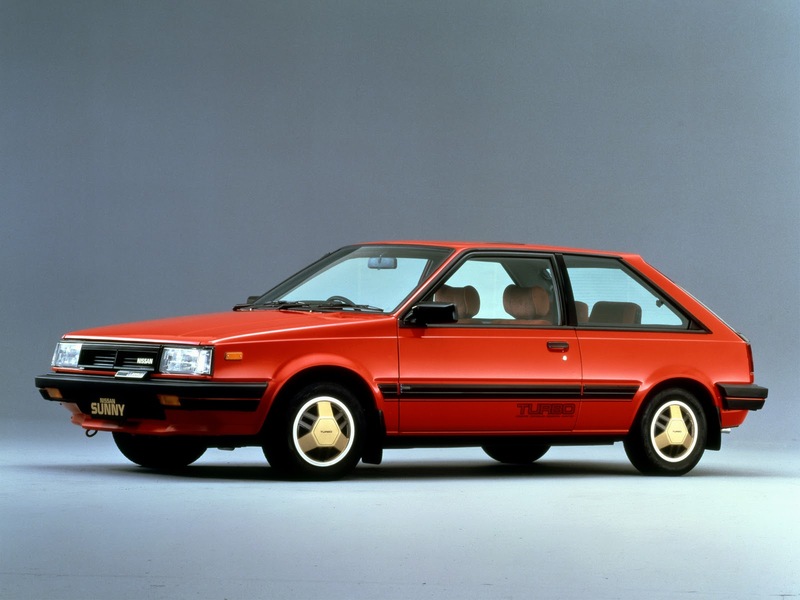 For me it yould be the ’86 Nissan Sentra Sport Coupé (or Nissan RZ1 in Japan), they seem to get no love at all and are a very rare sight. You know, I think you’ve got a fair point there, we used to see quite a few back in the day here in NZ, but I can’t even think of the last time I saw one, and certainly never at a show. One of them with the E15T or CA16DE engiine would be quite a hoot. Perhaps they were seen as too “disposable” and not special enough to have been nurtured, just used up and thrown away…. Ding Ding Ding Ding Ding Ding Ding !!! Datsun 310 four door sedan. 1977-1979 Datsun F-10 coupe. The only front wheel drive vehicle( that I know of) that you can change the clutch without removing the transaxle or engine! The first-generation Saab 900 is like this as well. A clutch can be done without jacking the car up or removing the engine/trans, as the motor is backwards with the clutch at the nose of the car. My parents had one of these, purchased brand new because they wanted a front wheel drive car and… somehow didn’t buy a Civic. I’ve mentioned it and most people don’t even know it existed. When I started my hunt for a JNC, I decided that what I really needed was an Isuzu Impulse…first generation, the Piazza. I always thought this thing was bloody gorgeous, and somehow I convinced myself that it would be a low-cost cipher for an Alfa GTV/6. Then I tried to find one. Someone on an Isuzu forum (THE Isuzu forum?) referred to his Impulse as an “extinct” car. That sounds about right to me. Wikipedia claims “As of 2010, the number of registered Impulses totaled only 2,300,” and I think that’s counting both generations. 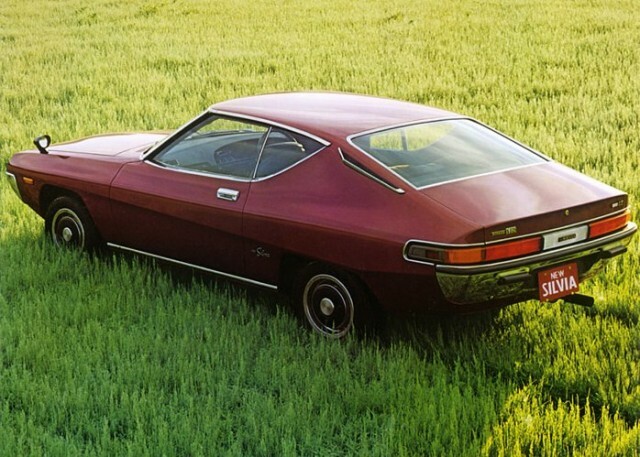 the mazda cosmo/rx5 these oddly styled rotary powered,buickesque waterfall grilled odd size and shaped side window made them an overweight flummoxy oddball car that were appreciated by few and purchased by even less people make them a virtual unicorn in the jnc world. However if anyone has made a conscious effort to locate one in the u.s. or canada you know how hard it can actually be. Yeah, this car came to my mind as well. And no, I never have managed to locate one for sale. im actually another person who is STILL trying to hunt down a genuine RX5- both in aus and abroad. i have found a few decent condition piston variants, but never found one 13B-powered one. I love this car, and i need one. You never see a Nissan R-33, nobody drives those. A couple reasons is because they were hideous on the exterior, and it wasn’t much of an improvement on the R-32 either, then we also have the fact that it hardly sold anywhere and just sat there at the Dealership doing nothing. And thirdly the way the Skyline fans treated it meant it got a quick replacement in 1998 with the R-34. Dude, say what? There are heaps of them here in NZ. And it didn’t get a “quick replacement” either. The R33 was initially released in ’93, and ran till (and through most of) ’98, that’s a full lifecyle, all the other Skylines had similar lifecyles, except the R34, which only lasted about 4 years…. S12 200sx turbo. I’ve seen 3 200sx’s in person my whole life. 2 were turbos and 1 was in a junk yard while the owner was getting parts for his working 200sx turbo. My friend ended up pulling that other s12 turbo out of the junkyard for $700, a ludicrous price, but i told him just how rare those were and what you could do with them. Now i know first hand just how horribly rare parts are for that, damn near everything we’ve had to get from a S13. For me it’s got to be the Nissan F30 Leopard, even here in NZ, the land of the used Japanese import we don’t have many at all. 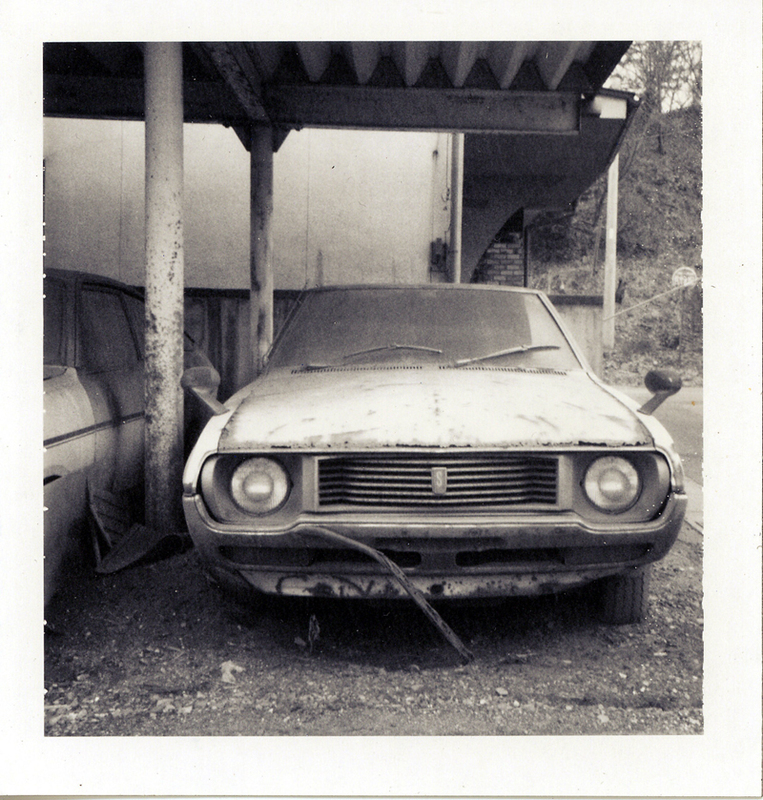 There were a few around once, but I suspect that they fell victim to a combination of rust, neglect, and lack of support in our market, making it uneconomical to keen an old one on the road. The 4 door versions are a bit awkward in their styling, but the 2 doors are to me like a Nissan version of a Soarer, just perhaps not quite as nice. I think also that they weren’t as well received as their half-brother the Skyline, and hence their slide into obscurity. That car came to the US as the Infiniti M30. Not terribly uncommon, nor very desirable. No, the Infiniti M30 was the F31 model, not the F30. Where I live. Any JNC is hard to find. 1989 Isuzu I-Mark RS 4 door notchback with the Lotus suspension and the Recaro seat option. Only seen one of them, ever. 16 valve head, lots of power for the time, even without a turbo. Grandma’s grocery getter with the heart of a thoroughbred. Sort of a factory hot rod built on the most tame of starting points. I would guess that the combo was only turned out in the few hundreds of cars, it was a “one year only” deal. So not only is it hard to find, it is definitely worth the search. Suzuki Forsa. It was the car that GM rebadged as the Chevy Sprint, and was the predecessor to the Swift/Metro/Firefly/Barina/etc. I also almost never see any Daihatsu Charades any more. Being a fan of cars with less than 4 cylinders under the hood (and a Geo Metro owner), I actually look for these things and rarely ever see them. Perhaps they were seen as too disposable in their day to have survived in great numbers. In my country there’s still quite a lot or people ride the charade, even the suzuki forsa can be found riding along in here, the hard to find ones are infact the jap sports kyusha from the 510 to s30 z even hako, rx3 to fc, levin to trueno in my country. Based on what he said, probably here in the Philippines. I see a lot of Daihatsu Charades here (just saw one parked right outside our office when I went out to get lunch), and yes it is sad that we never got the old kyushas like the 510, rx3 – rx5, fairlady’s, hako’s and trueno’s. 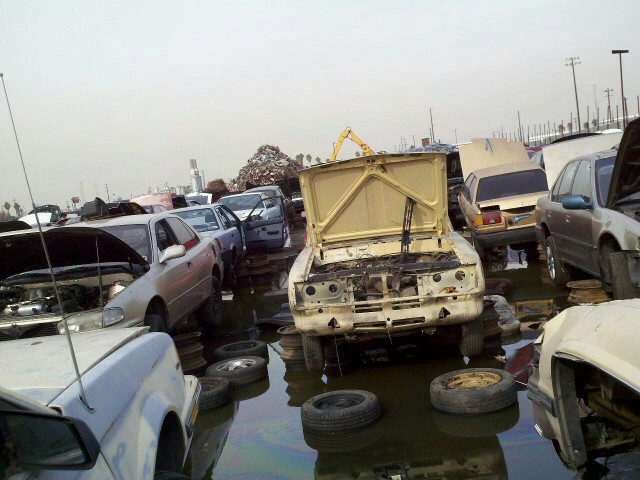 What we got were a lot of Toyota Corona’s – Corolla’s and Mitsu Lancer’s and Galants. hey, I got a few friends there!, hehe. That’s a tough question, and pretty subjective to where you’re located. In my area Datsun B-210s are pretty rare. Especially for a car that seemed to be so popular in my at one time. These are the kinds of rare cars I find interesting. The Colt FTO never really found outside japan, or the GTO, never seen one of those in the US. Love S10 Silvias/200SXs. But yes, impossible to find…too bad. On the Toyota side, I have to say that nice Mk 1 Celica Supras are very hard to come by, especially 5 speed models. It’s not really hard to see why. They weigh significantly more than the Celicas on which they are based, but only slightly less than the far better performing (in terms of both engine and suspension) Mk 2. Not only are they longer and heavier than the Celica, but their SOHC I6 only makes ~20 hp more than the four banger in the Celica (and that is being generous…and not counting the JDM twin cam Celicas which actually produced MORE power). Their look is…an acquired taste, especially compared to the svelte little Celica. I like them, and have seen some killer black ones, but I am pretty sure I am the outlier. The thing is, this car is more a successor to the Crown and Mark 2 in the US market than it is a predecessor for the venerable Supra. And because of this, and their general lack of popularity, those few that have survived have not done so in very good nick. It seems like any time I see one in the flesh (and that is a very rare occasion indeed), they are utterly clapped out. They have a lot going against them really, but man do I want one. An unmolested, unmodified, uncrashed Toyota Corolla AE86. Rare as hen’s teeth. My very good friend Kouzie had one he just sold it for %5k. I think he lurks on here time to time. Datsun Bluebird P410 are never seen here in Australia,but I have one stored,i see others have mentioned R32 ,I am also lucky enough to have one of these stored , in the form of a GTS-T, i hope it may be a future classic. these were the first twin cam engine built by toyota, yes before the 2000 gt . and even use the 2000 gt 5 speed gearbox. Only sold in japan and australia, only 10 made it to australia 4 were 4 speed and 6 were the 5 speed option. would be nice to have another 1600GT parked in the garage. 70s Mitsubishis. I dont think ive ever seen one of those old 2-door Galants, and not many 4-doors. I spotted a Galant Lambda/Challenger/Sapporo a few months ago. It was immaculate too. Went up for sale on craigs like a week later. I’ll keep an eye out if it surfaces again… but chances are thats the first, last, and only time I’ll ever see one of those for sale, let alone in that kind of condition. As much as I have to agree with Tyler and the Toyota AA, thats a special case and impossible even for Toyota to find. How about a Mazda Roadpacer. Only a relatively few made and I have only ever seen one in the flesh. Having said that, I can understand why they were not a commercial success when Mazda decided to drop a little 13b into a great big lump of Aussie ironed full size sedan. I would be very surprised if anyone Stateside had ever heard of one. Certainly no-one in Australia apart from a handfull of JDM enthusiasts have heard of it. Certainly a JDM odball and extremely hard to find, even in Japan. What’s worse is that Mazda also put the same engine in a bus and a motorhome! They must have been so slow that the Roadpacer would have been quick by comparison. None of these vehicles were sold new in the states though, and I think the Roadpacers only made it to Australia as used cars. However, we did get the rotary engined pickup. I wonder if that was a US only vehicle or if it was seen in other countries too? I could not find an original low-mile unmolested 3rd Gen Civic Si. So I bought a 4th gen one instead. I like my car but the older model is more appealing. But looks like there are none left unless they are a deteriorated mess. I think there is one iconic car that started it all, yet doesn’t get any credit in recent years, or even recent decades. While every now and then you’ll find a S50 Skyline at a car show, the truest answer i can think of is the Prince Skyline Sport BLRA-3. There were only a few hundred made, and even fewer in convertible form, but their claim to fame was birthing the Skyline nameplate as well as its game-changing 72kw 1.9ltr 6cyl along with its Giovanni Michelotti designed body. This car heralded what was to become the ‘Italian era’ of Japanese sports cars during the 60’s- and better yet, its more revered than any of its triumph, Maserati or BMW ‘brothers’. A true JNC both in form and rarity! The early Impulses and I-marks and Opels are pretty tough to find here in the States, at least without being totally trashed. Opels are German GMs. But yeah they’ve gone pretty extinct, especially considering how visible they were in the 70s. I wasn’t around back then, but I’ve managed to read my fair share of automotive mags from the period, and the Opels were well covered. The Japanese cars, aside from the z-cars, were barely ever mentioned or brought into the multicar shootouts. I actually saw an old GM T car based I-Mark at the U Pull It here in Clearwater, Florida the other week(it was a brown 4 door sedan and covered in algae/mold). It’s amazing just how similar it is to a Chevette. I think it even shares the same dash and doors. The engine is different though, and that’s probably a good thing. Mazda 1300 FA3TS Coupe (widebody). Plenty of sedans and 2-door sedans still getting around but am unaware of any coupes left in existance… Besides of course photos of wrecks. Daihatsu L55 Mira turbo. One of the very first turbo Kei cars, a 2 cylinder 550cc draw through carby turbo set up, four stroke. I have the motor at home which was imported into Australia in the mid 90’s and sat on an importers shelf till a few years ago. I have spent many hours searching for current photos of them in Japan (as they were not exported) but can only find vintage shots. I have never even seen one at the vintage kei car racing events in Japan. Bucket loads of little honda’s and more modern 3 cylinder turbo Mira’s but no L55’s. There are few L55’s left so I’m trying to find one in good condition to recreate the little turbo buzz box! Toyota Sprinter Trueno TE47. It was quite popular back then especially for rallying/track, but it’s really difficult to find one even in Japan. Hard question to answer because each part of the globe got makes and models in different numbers. UK guys say that one of my cars – a FA3TS Mazda 1300 is obscure, but until about 10 years ago, you’d see them in your daily commute all the time. Until a few years ago you’d say a Hakosuka would have to be the hardest car to find in Australia, now there’s a few here! I would say Honda SN Prelude. This is a pretty vexing question, especially if you happen to live there. When the S13 was introduced to the North American Market, Nissan North America chose not to import cars with the turbocharged engines (CA18DET or SR20DET). In Hungary (where I live) the old classic Jnc’s very hard to find. Some sure running the streets, but except of the news not easy to find these. I finded some AE86 and the BEST IN JNC IN HUNGARY is the Aardvark Datsun 260Z. This was posted in this site.